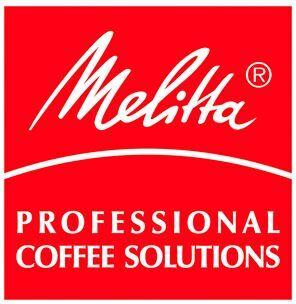 The machine is now often out of stock in many retailers, so for a newer option, try the Melitta Caffeo Barista TS. Melitta’s Caffeo Bistro coffee maker is undoubtedly one of the most impressive coffee machines for the price range on the market at the present time. For 2015, it was our number one recommendation for new to intermediate skill levels when it comes to home coffee brewing. The only reason it’s dropped to second place from 2016 onwards is price, as some people will feel that it’s just too much to spend on making coffee. While it’s got a price tag to put it at the bottom of the premium market, it is a relatively inexpensive machine for its capabilities, and incorporates many of the features that you would normally expect to see only in the most expensive, premium ranges. If you’ve got more to spend, certainly take the time to have a look at the next model up, the Caffeo Barista TS, but for anyone on a budget, this is a great place to start. A few really nice features worth mentioning right at the start include the ability to load the machine up with two types of coffee beans, and select which you prefer for a given drink from the control panel bean select facility. It also boasts automatic cleaning cycles, something which anybody who owns a coffee machine will understand the benefit of. Of course, from time to time you will need to manually help with the cleaning, but the day-to-day cleaning cycles can be taken care of automatically. The manufacturer Melitta describe the grinding mechanism to break down the coffee beans as an intelligent automatic grinder, meaning that it reacts to the coffee beans as they are grinding. The grinding mechanism itself can be used on any one of three settings, fed by one of the two chambers containing the unground beans. The bean containers are both generously sized, and of course if you just have the one preferred type of bean then you could fill both sides with a single choice. The Caffeo Bistro also boasts a generous capacity water tank, comfortably able to hold a maximum of 1800ml of water, both to make coffee and to fuel the self-cleaning functions. Unlike some other machines, the volume of water to use to make each cup of coffee is not programmed into the machine, but dictated by turning an analogue control which means that you have full control, rather than being restricted to pre-set options. The combination of the bean grinding and water supply is impressive with near simultaneous contact with hot water as the ground coffee leaves the grinder. Out-of-the-box this unit weighs in at 9kg, quite weighty when you first pick it up. The predominantly plastic build quality is solid, and should have no problems withstanding any knocks from normal family kitchen use. The featured model on this page is the silver stainless steel version, and the Melitta Caffeo Bistro is also available in an attractive black too. This is a great looking coffee machine which will look good in virtually all kitchens due to the simple, yet beautiful choice of this silver or black finish. Its minimalist design is simple to use but at the same time easy to use, fast to learn, and allows easy access to even the most advanced features. The Caffeo Bistro is primarily marketed as an espresso and cappuccino maker, and while it does take a little while to heat milk, the quality even of a latte is excellent. This heating action for milk is made possible via the steamer arm, also referred to as the steam nozzle. Used in conjunction with the steam nozzle, the steam whisk creates great results for frothing milk which is a great finale for cappuccino lovers in particular. Judging by comments from other customers who have bought this coffee machine, Lavazza Qualita Rossa coffee beans are a particularly popular choice, along with Kirkland Signature Starbucks Espresso Blend beans on a strong setting, or Levazza Espresso beans if they are more to your taste. Regardless of the feedback, you’ll be hard pressed to find anyone who is critical of the coffee that this machine produces, once they’ve narrowed down their selection to their preferred bean. Unsurprisingly, many people have commented on how quick it is to pick up the day to day operation of this coffee maker. There have been a few people that have noted that the initial set up process takes a while, and seems a little complicated, but the instructions guide you through it in detail. Whether it’s the simplistic control panel or the milk frother, there are plenty of glowing reviews for ease of use, so this is probably the most common attraction of the Melitta Caffeo Bistro. What’s interesting to note is that some people talk about pushing their controls up to the highest setting, whereas others describe a great result even on the weakest. As there are very few gripes about the coffee coming out too strong or too weak, it seems that Melitta have managed to get the range spot on, giving the maximum choice without risking the cardinal sin of bad coffee! Always a big plus when the manufacturer gets it right, this machine has made maintenance as simple as you’re ever likely to encounter. If anything, the feedback suggests the Caffeo Bistro is a little too eager to clean itself, so it’s just as well the water reservoir holds a good capacity. Probably the only repeating negative is the amount of noise generated by the grinding process, and this is a common complaint with bean to cup coffee machines in general. I’m not sure how exactly you can create a grinding process that isn’t going to be loud, but some machines are clearly better (or should that be worse?) than others. I suppose if you are using the coffee maker to make a pick me up to offset a hangover it might be painful, but the freshly ground beans should more than compensate for a moment or two of noise. All in all, we absolutely love the Melitta Caffeo Bistro coffee maker, it’s a truly great all rounder that looks the part too. If you’ve got a modern kitchen, the black or silver finish is probably going to look amazing, snuggled between the worktops and the wall mounted units. While it’s true to say that this machine is a little on the large side, they really have managed to pack a lot into that space, and for a very reasonable price too if you’re looking at the top end of the market.